← Is This False Advertising? air strikes were aimed at insurgent strongholds in Bo'aitha, a sparsely populated neighbourhood on the west bank of the Tigris, south of the city centre. While lying within the city limits, Bo'aitha is a district of farms and smallholdings, whose scattered villages are known to house the hideouts of Sunni insurgent gangs linked to al-Qaeda. 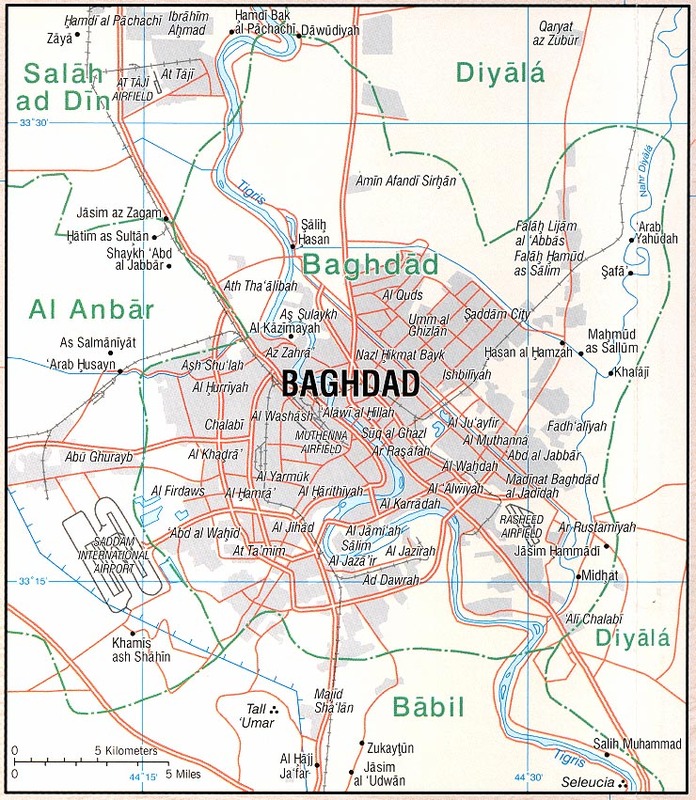 Late Saturday, the US Air Force launched a series of bombing raids on southeast Baghdad. This is absolutely shameful, that the US is bombing from the air a civilian city that it militarily occupies. You can't possibly do that without killing innocent civilians, as at Ramadi the other day. It is a war crime. US citizens should protest and write their congressional representatives. It is also the worst possible counter-insurgency tactic anyone could ever have imagined. You bomb people, they hate you. The bombing appears to have knocked out what little electricity some parts of Baghdad were still getting. As near as I can make up by comparing this map, which shows Bo'aitha as region 89, but lacks a legend showing the scale, with this map which has a scale but no marking for Bo'aitha, that region is about six kilometers from the city center, which is roughly the distance between the University of Miami and the center of downtown Miami. Regardless of the legal issues, this doesn't seem to be a tactic well-calculated to win the hearts and minds of the average Baghdad resident. And, hey, since that's all going so well, let's plan to attack Iran! (link is to Sy Hersh's latest). How long before we start calling this a 'tilt' to the Sunnis?